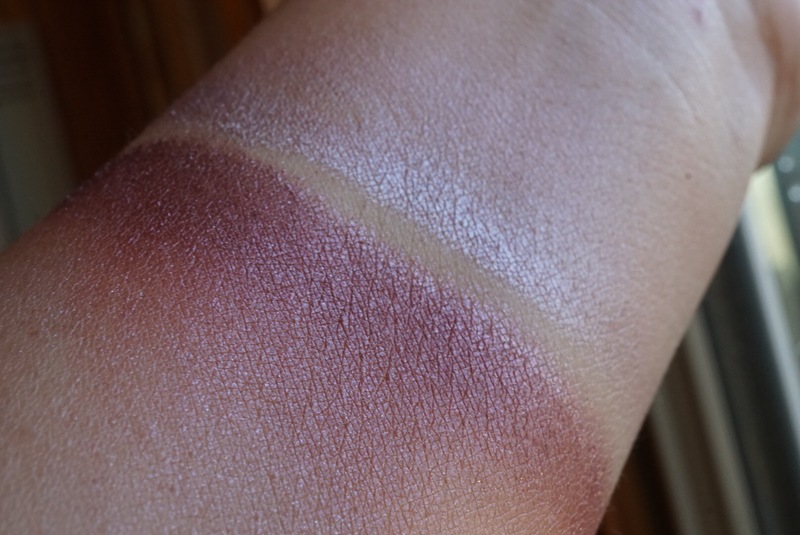 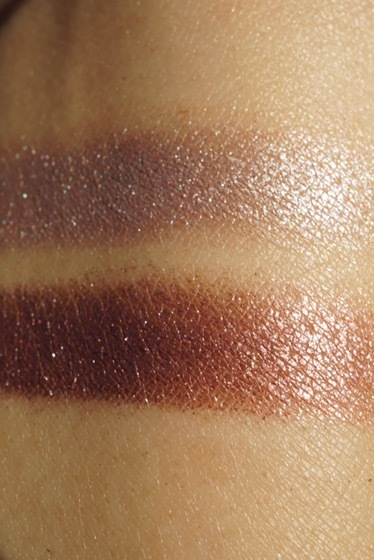 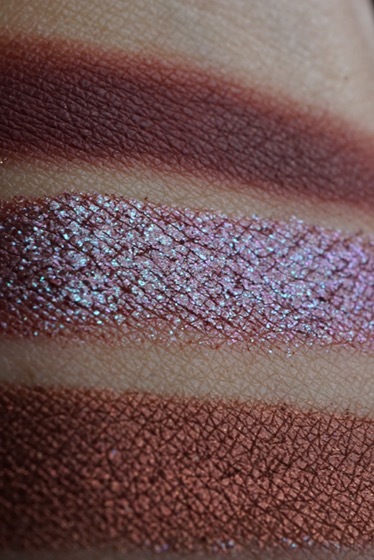 It can be layered on the eyes but blended into the skin gives you this cool toned shade. 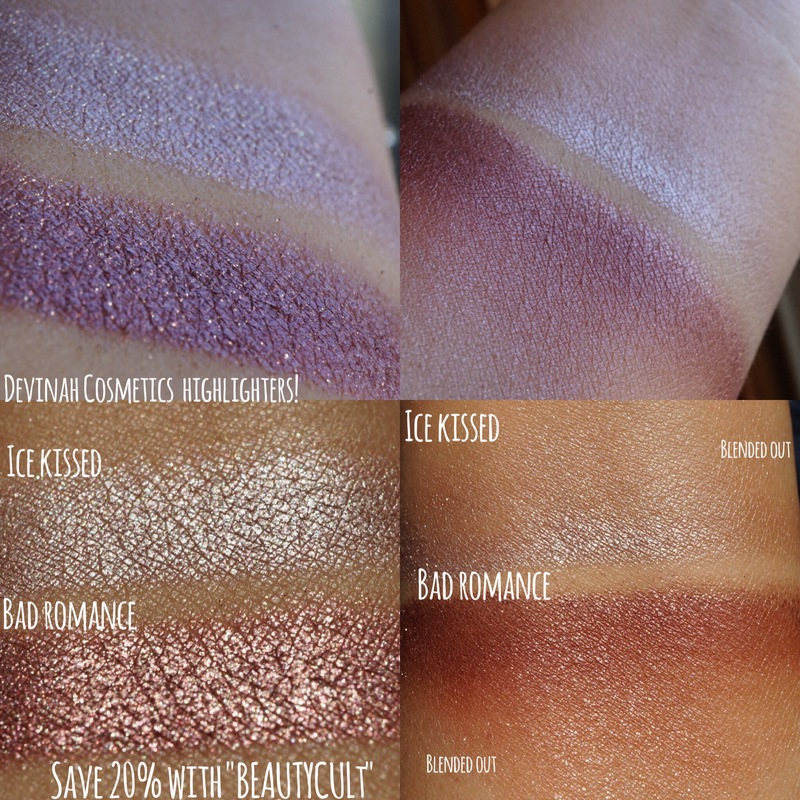 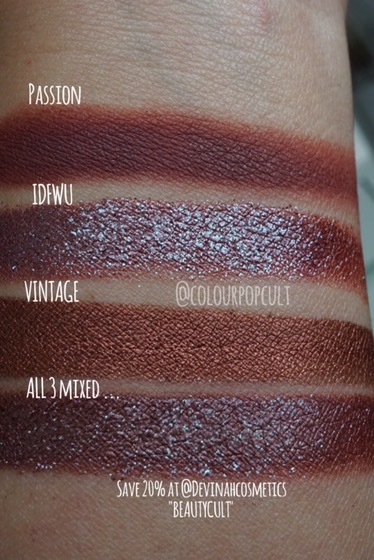 The lower shade: BAD ROMANCE is a February sneak peek! 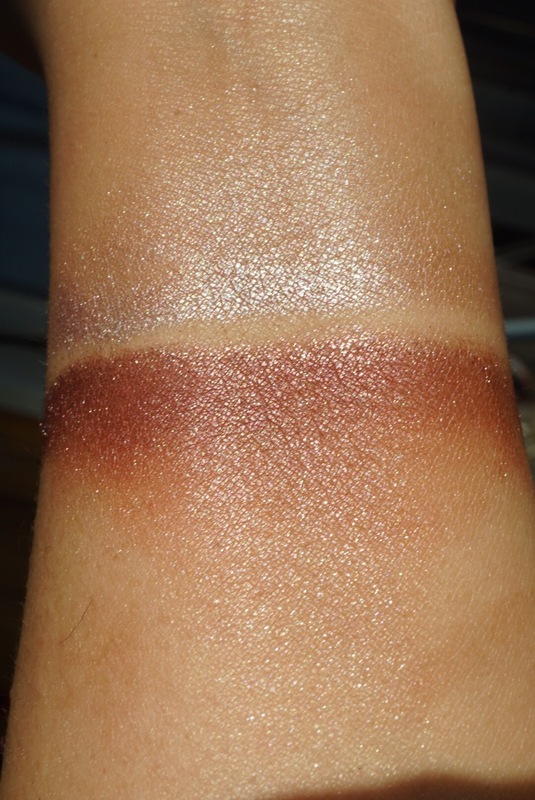 this is actually a limited edition for February and a shimmery burnt copper shade that will go nice as a blush, it can be blended out as you can see on the lower pictures. 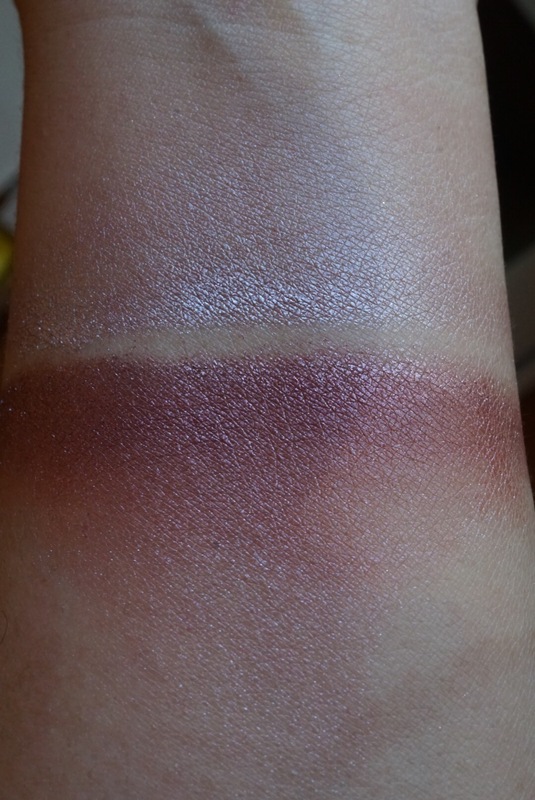 Note several versions in different lighting. 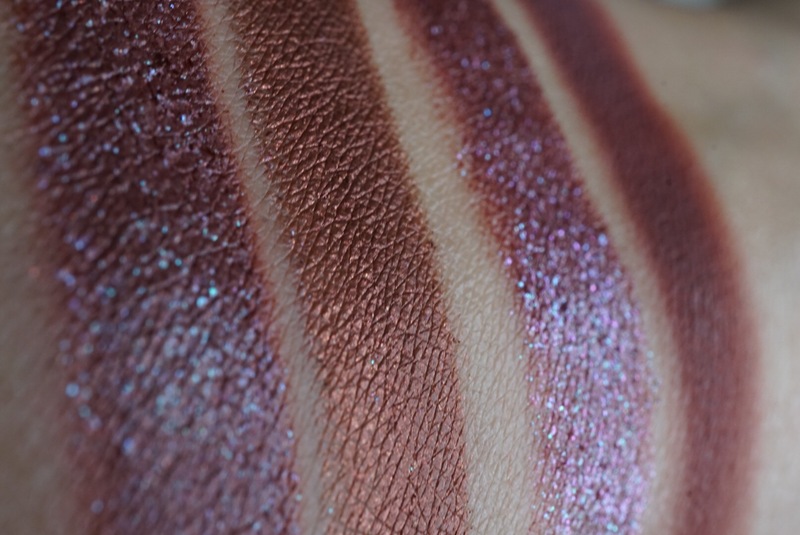 Just going to bombard you with pictures cause DANNNNGGG! 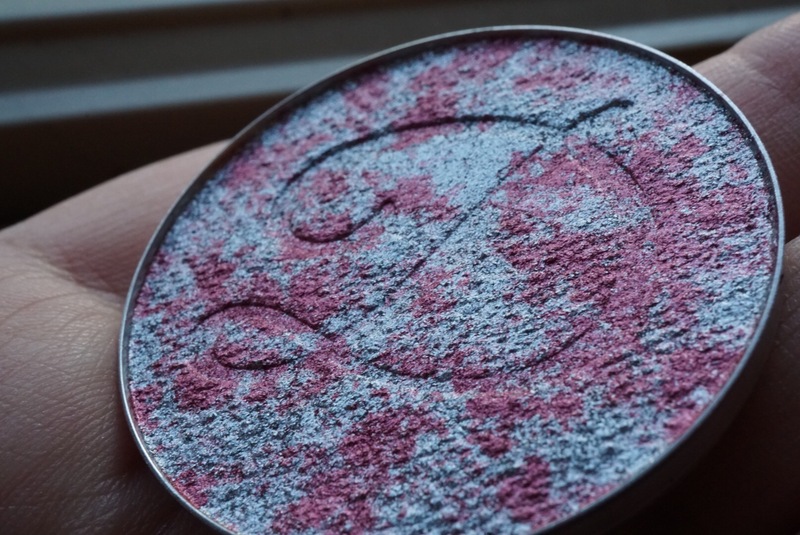 Passion is a matte mauve burgundy – it looks lighter on pan almost like a dusty rose, but layers a darker shade. 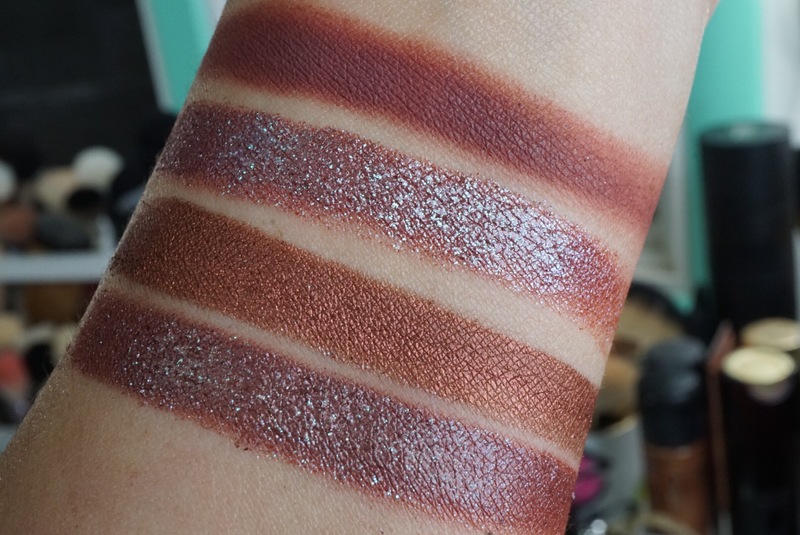 IDFWU is a duo chrome, its glorious with teal and silver reflects. 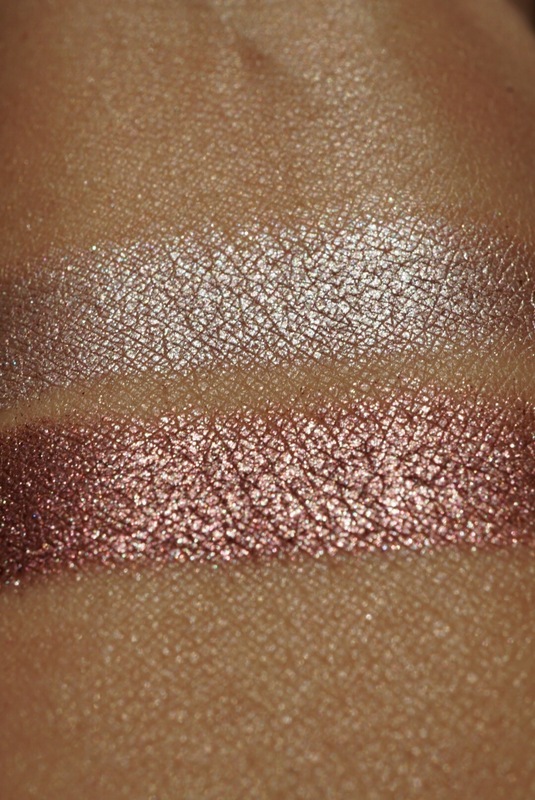 Vintage is the last shade and a metallic copper that is SO SMOOTH on application. 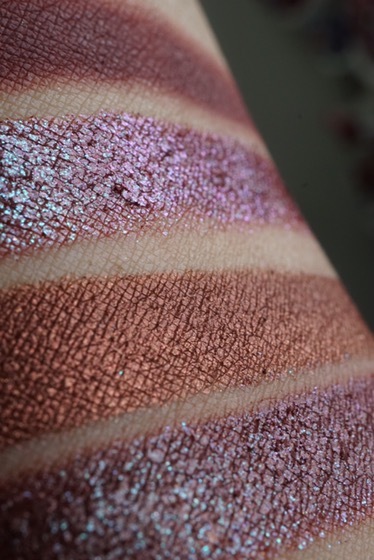 These swatches were applied with a brush and the glitter one was foiled with a wet brush. 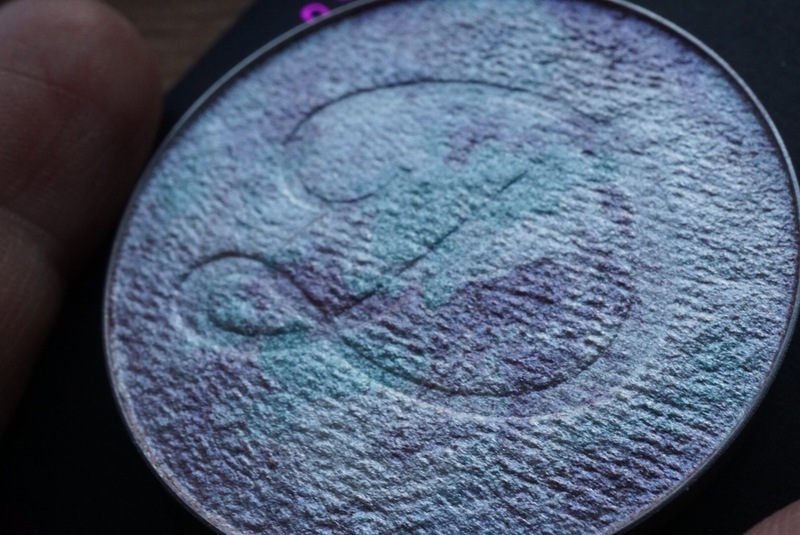 Next Guerlain Meteorites Happy Glow Pearls and Blush – review, swatches, alternatives and late night confessions.